From our range of crystal chandeliers. Eight chrome candle lamp holders each with a slender curved chrome and crystal adorned suspension arm all attached centrally to a chrome and clear crystal column. 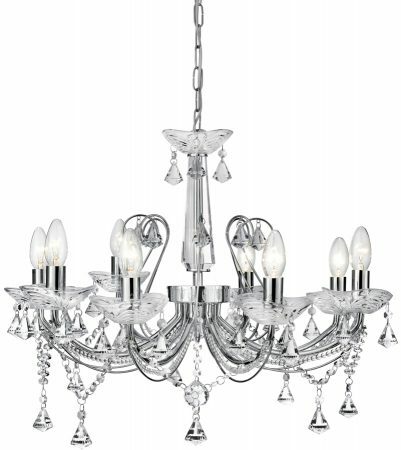 A grandiose mix of chrome and crystal this exquisite chandelier is a must for the entrance hall or larger lounge area. Height adjustable at time of installation by simply removing one or more of the suspension chain links to a maximum drop of 1050mm.